At every concert I attend, I wish for a full house. It must be demoralising to sing to a half-filled venue, so imagine my apprehension when I drove into the car park next to the Singapore Indoor Stadium and noticed many empty lots. I was attending David Tao’s concert; his last one here was almost a decade ago. I later learned, during the concert, that David Tao had the same apprehension: he was worried his tickets won’t sell because he’s been away for so long. His fears, like mine, were totally unfounded as 8,000 fans turned out in force to pack the Singapore Indoor Stadium. David Tao, known as the Godfather of Mandarin R&B, has always been known for his music. This was reflected in the no-frills stage set-up. It was always going to be about him and his musicians. 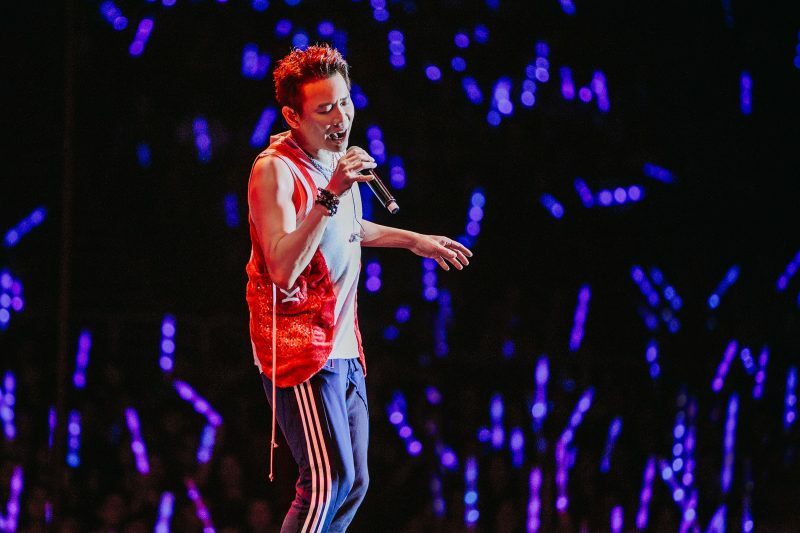 At slightly past 8pm, he entered the stage to rapturous applause and launched straight into upbeats tunes 《Runaway》, Small Town Girl《小鎮姑娘》, Scumbag《王八蛋》、and Susan Says《蘇三說》. He then brought it down a notch (to the audience’s delight) and performed three of his classic ballads, The Moon represents Whose Heart? 《月亮代表谁的心》, Just a Friend《普通朋友》, and Airport at 10:30《飛機場的10：30》. He would go on to sing a slew of his popular crowd favourites like Do You Love Me or Him? 《爱我还是他》, Quicksand 《流沙》, Everyday《天天》, Just Loving You 《就是爱你》. His set list leaned heavily on his earlier works, perhaps reflecting his acknowledgment that his fans had come for his older songs (I did). 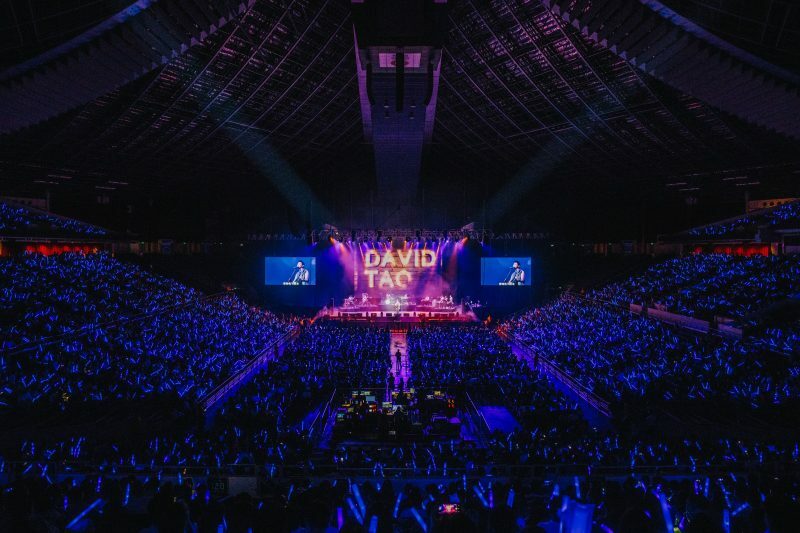 It turned out to be a massive karaoke sing-along session, with the whole Indoor Stadium singing with David as he energetically breezed through his songs. On a couple of occasions, foreigners were caught on screen, singing along enthusiastically, proving that music truly transcends boundaries. Perhaps more entertaining than his singing was David Tao’s banter with the audience. 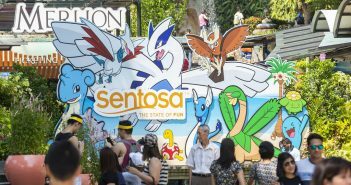 More than once, he peppered the audience with Singlish, drawing laughter and encouragement. Referring to the smoke machine midway through the concert, he said “very smoky, cannot see” in authentic Singlish accent. He also made reference to the Night Safari, comparing himself to an animal exhibit when he got off stage and made his way through the crowd to shake hands with his fans. Expectedly, he was mobbed by fans clamouring for handshakes and selfies. One over-exuberant fan even forced a hug, in the process causing David to hit his front teeth with his microphone. It all made for good banter, and David was clearly enjoying being back on the big stage in Singapore. Another notable aspect of David Tao is his willingness to promote aspiring musicians. 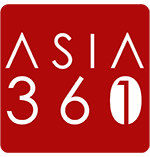 He has a music company set up in Singapore for that purpose, and he also invited local acapella group, MICapella, to be his guest performers. 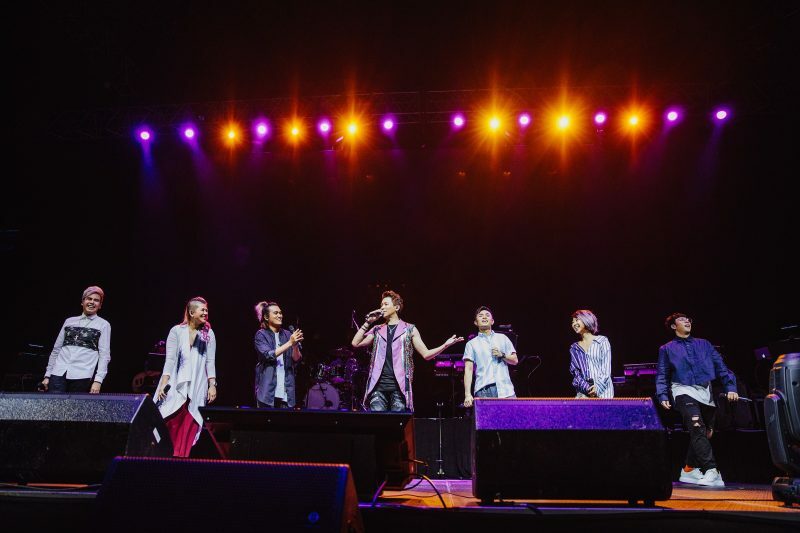 Together with David, MICapella did their rendition of a song written by David for a Taiwanese all-boys group “Tension”, titled Our Story 《我們的故事》. 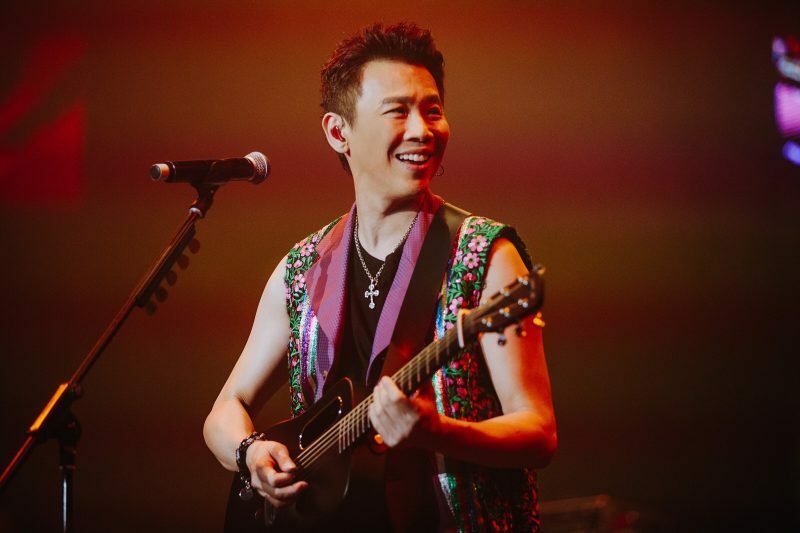 He also has a good relationship with fellow musicians, often breaking into conversation with his band and back-up singers throughout the concert. He also quipped that local superstar JJ Lin’s mother even cooked bee hoon for him! For the encore, David sang his classics Find Yourself 《找自己》, and Love is Simple《愛很簡單》. It was a beautiful end to a warm and charming evening, and he left with a promise to his fans that we won’t have to wait another decade before he returns. Kenneth is a hands-on dad, which means time is a precious commodity to him. If he has time to write this article, you have time to leave a comment. Do it. Please.